My favorite Blue is the Metro Rail Blue Line. 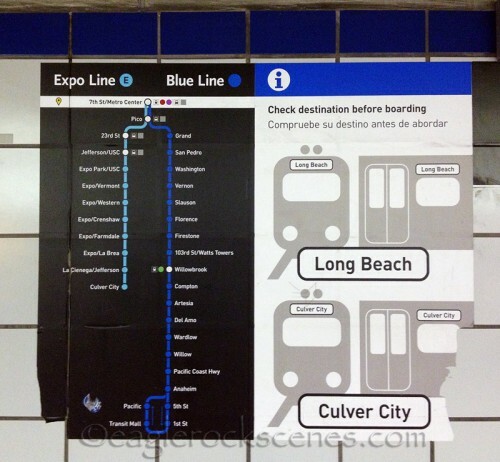 It starts at the 7th/Metro Center station, and goes all the way south to Long Beach. The Expo Line, which goes west to Culver City (and hopefully all the way to beach someday) is a lighter shade of blue and starts here too. If your eyes are really good, you might be able to read the station stops. 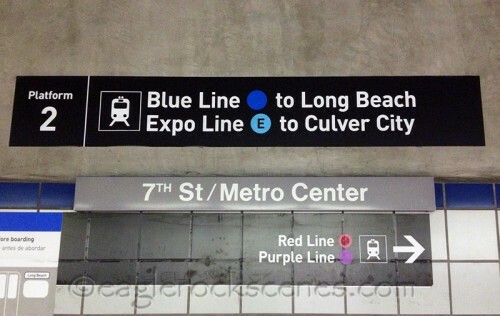 I live near the Gold Line, which covers Northeast Los Angeles, so to get to the Blue Line I need to take the Gold Line to Union Station, where I catch either the Red or Purple Line to the 7th/Metro Station and catch the Blue Line from there. It’s only one stop to the Los Angeles Convention Center, which is just a bit over a half mile — a short enough distance to walk… and the L.A. Conference Center is usually where I am headed, so I don’t actually use the Blue Line all that often. I live near Boston and I take the blue line to get in and out of town as well. 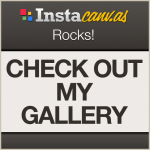 LOL – you could not get a better shot for this week’s theme.